Florence in the 1400s is a city of merchants, bankers, artisans but above all of great geniuses. It is under the aegis of the red lily of Florence that the Renaissance was born, has established itself and then developed all over the world. The decisive event was the discovery of the perspective technique by the Florentine architect Filippo Brunelleschi in the second decade of the 15th century. Knowing how to represent depth in painting also changes the perception that man has of the space that surrounds him and the way in which man relates to the universe: it can dominate the world and everything revolves around him and his destiny . Man thus feels himself finally master of himself, of making his choices, of managing his own life, finally freeing himself from the bonds imposed by religion. 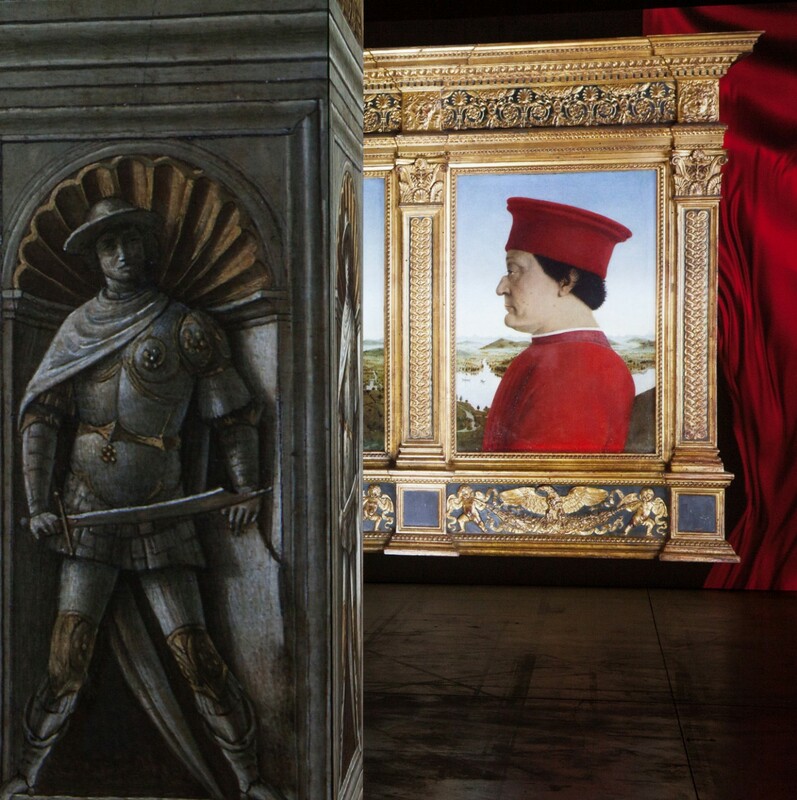 From the beginning of the fifteenth century until the end of the sixteenth century the extraordinary creations of this exceptional historical moment enrich all of Italy. The greatness of the genius of the renaissance is expressed with majestic achievements and great refinement. The artists compete with each other to give their works supreme perfection and beauty. The Renaissance as never before. 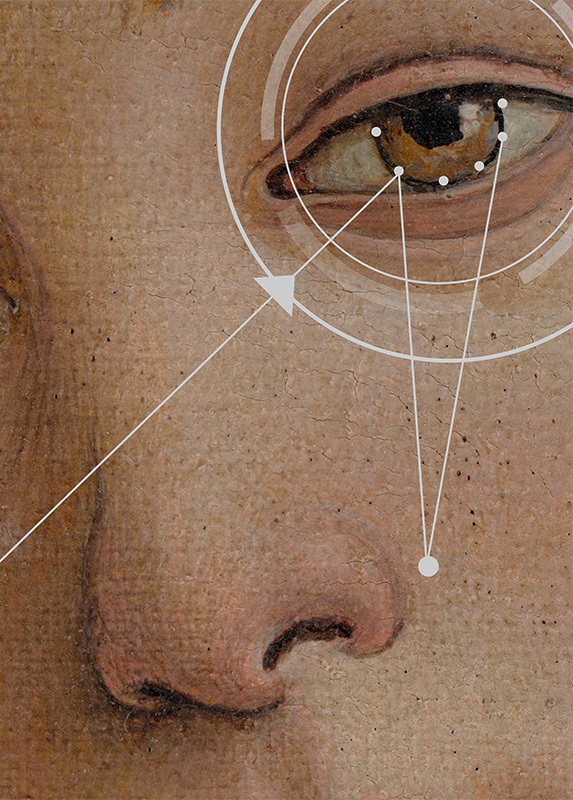 Experience the greatest masterpieces from the Uffizi Gallery as they were meant to be seen, by taking an interactive journey through four hundred years of Italian art. 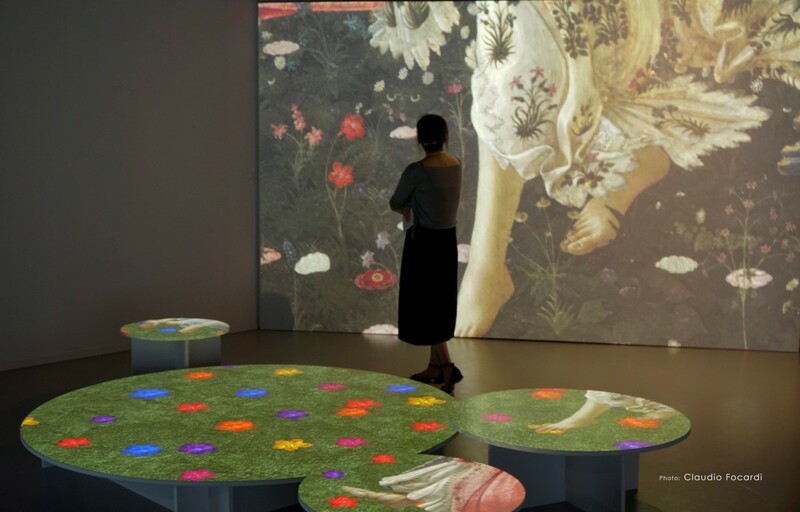 Uffizi Touch® Cloud installations complete the immersive area with the interactive space with touchscreen at very high resolution, natural interaction installations, that engage the visitors, bringing in them the desire to explore any detail of the 1150 Uffizi Gallery works of art present in the installations, compare them, measure and use all the functionalities of Uffizi Touch® Cloud (see https://vimeo.com/188054233), based on the Centrica Platform. German premiere in Leipzig. Animations and surrounded by music composed for the exhibition. Multimedia and immersive experience let the visitor enjoy this art with a new and unique perspective. 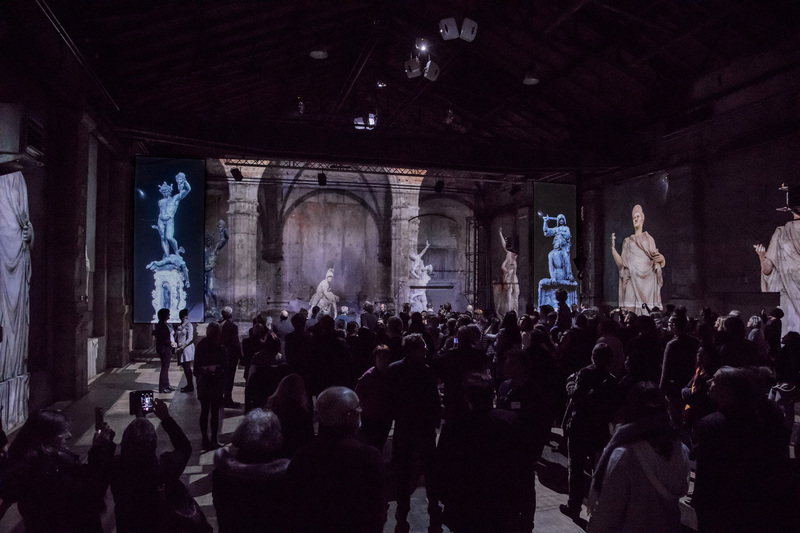 The first edition of the digital exhibition was held in Milan from the 22nd of January to the 13th of March 2016 in the Cathedral of the Fabbrica del Vapore. The exhibition was sponsored by the Ministry of Arts and Culture, Ministry of Tourism, the City of Milano and the City of Florence and part of the Return to the Future initiative promoted by the Cultural Office of the City of Milano. A calendar full of free cultural events. Art history talks, interactive lessons, and activities for elementary, middle and high school. Un amazing experience oh how technology can help the new generation understanding the Renaissance.